Jessica Speart is an investigative freelance journalist with a focus on wildlife law enforcement and endangered species. 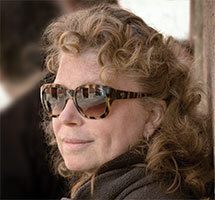 She is the author of the highly acclaimed narrative nonfiction book Winged Obsession: The Pursuit of the World's Most Notorious Butterfly Smuggler (William Morrow), an Indie Next pick which has been featured on the CBS News Blog, CBS Weekend Roundup, National Geographic Weekend, the Huffington Post, The New York Post, and NPR. Speart has delivered keynote speeches at a wide range of distinguished forums, including the American Museum of Natural History, John Jay College of Criminal Justice, chapters of the Audubon Society, League of Women Voters, and the American Association of University Women. Winged Obsession brings to light the story of Yoshi Kojima, a one-man environmental wrecking ball in the cutthroat world of butterfly smuggling. Most people don't know that as an endangered species, butterflies can be as valuable as gorillas, pandas, or rhinos. Butterfly smuggling is a $200 million business within the $10-$15 billion illegal wildlife trade, and Kojima was its kingpin. The case agent, Ed Newcomer, worked his way in with Kojima by posing as a young mentor eager to learn the trade, but blew the case twice through his inexperience and Kojima's keen sense of survival paired with overwhelming paranoia. The case was miraculously resurrected a third time, but with a twist. Newcomer had now become the smuggler's object of desire. Kojima was ultimately undone in a tale of greed, obsession, and sexual temptation. Caught and sentenced to two years in California City prison, Kojima was deported from the U.S. upon his release in 2008. Working undercover as she researched the book, Speart describes in Winged Obsession how she befriended Kojima and then had to deal with the guilt resulting from her intention to betray him. Speart's work includes articles investigating wildlife and drug-trafficking crimes for publications including The New York Times Magazine, OMNI, Travel & Leisure, Audubon, National Wildlife, Wildlife Conservation, Animals magazine, Mother Jones, Delta's Sky magazine, and more. She penned a 10-book mystery series featuring U.S. Fish and Wildlife Agent Rachel Porter. Prior to writing, Speart studied theater at Boston University College of Fine Arts and worked as an actress in New York City. She appeared off-Broadway, in commercials, and in soap operas. She now lives in Connecticut. "...a true thriller about an undercover U.S. Fish and Wildlife agent hunting for the 'human vacuum cleaner' of the insect world ... The world of butterfly smuggling nets an estimated $200 million annually, and is filled with unforgettable villains -- like the 'Dr. Death of Butterflies' who fell 5,000 feet while reaching for his prey -- and the fascinatingly weird. Winged Obsession swings open the door. " "Winged Obsession offers a fascinating glimpse into the illegal market in exotic and endangered butterflies ... By the end of Winged Obsession, I was rooting for creatures I didn't know existed before I read the book." "Butterfly smugglers? Who knew? Journalist Jessica Speart chases down the butterfly world's most elusive criminal, the notorious Yoshi Kojima, in her fantastic new book. It's a journey with the twists and turns of a taut thriller -- like The Orchid Thief, only with wings." "Meet the Hannibal Lecter of the conservation world ... this expose reads like a thriller and proves once again that truth is stranger than fiction." 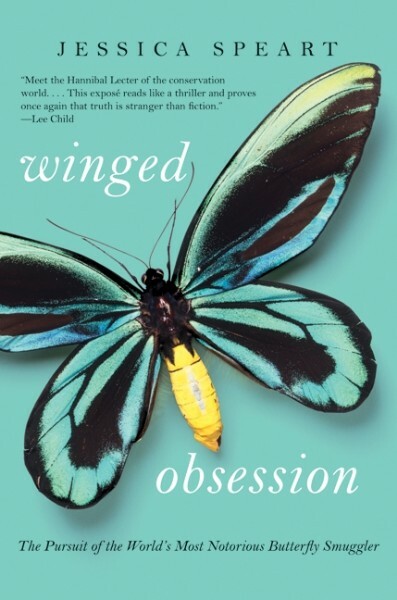 "Winged Obsession is an unputdownable thriller that exposes a new world of greed and obsession -- the illegal trafficking of exotic butterflies. They're among nature's most gorgeous and remarkable creatures, but they're worth millions of dollars on the black market, and Jessica Speart makes you root for them and Special Agent Ed Newcomer, as he wages a high-stakes game of cat-and-mouse with notorious butterfly smuggler Yoshi Kojima. I loved this book!"